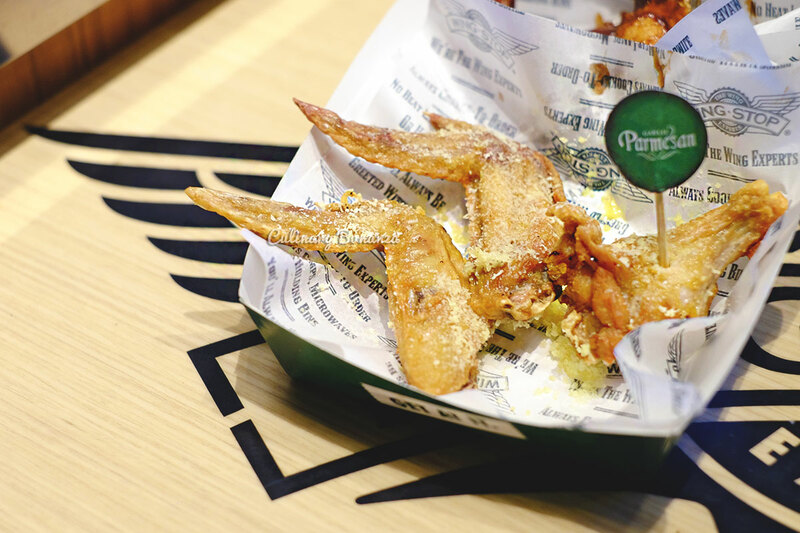 Anyone ever been to or lived in the US would have heard of, or even tried one of the most popular chicken wings there: Wingstop. 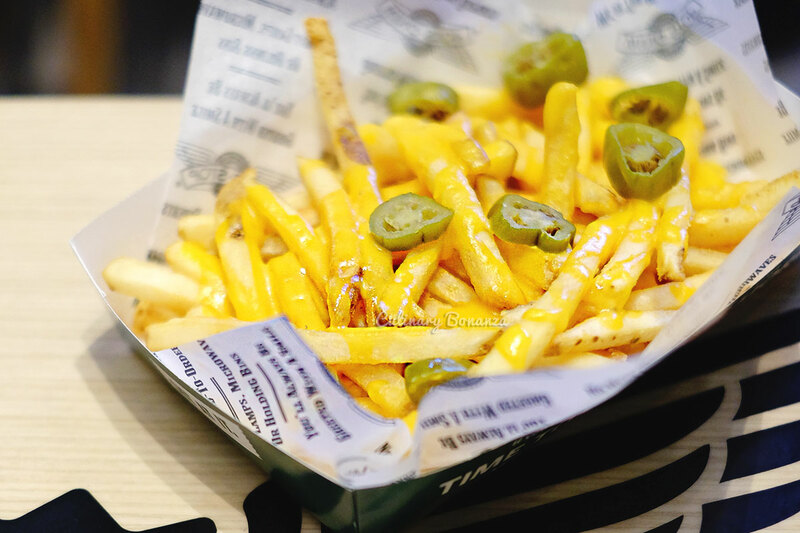 With history dating way back to 1994, the restaurant chain began offering franchises in 1998, it has grown into a chain with more than 650 restaurants in the US, Mexico, Russia and Jakarta, Indonesia. 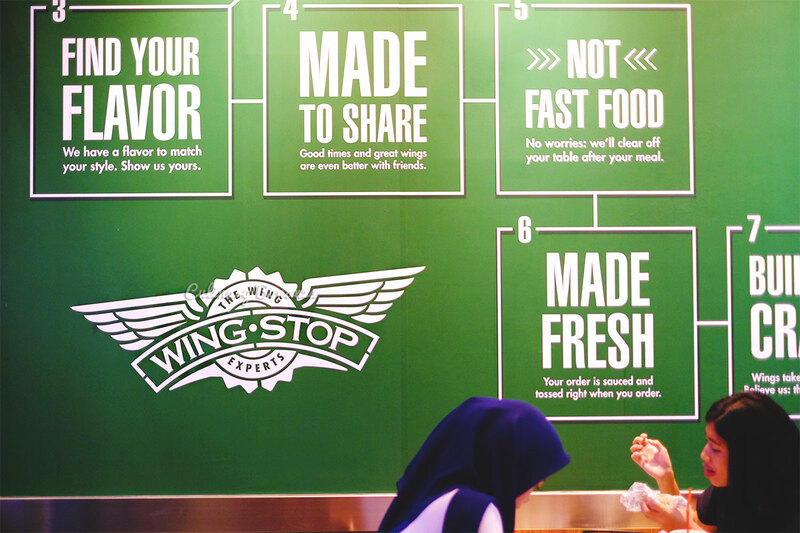 Wingstop is first and foremost, NOT a fast food restaurant chain. 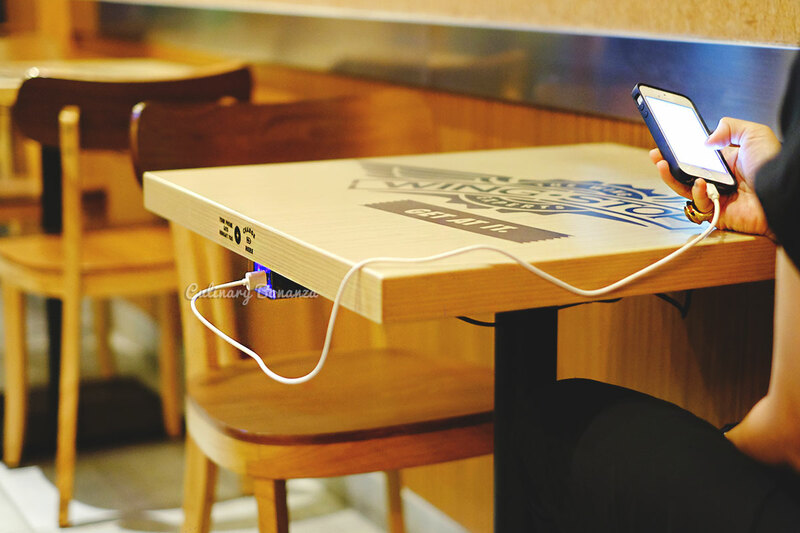 What I mean by this, is that, after ordering your food, just proceed to your table with the given number, because right after your order has been input, that’s when your food will start cooking. 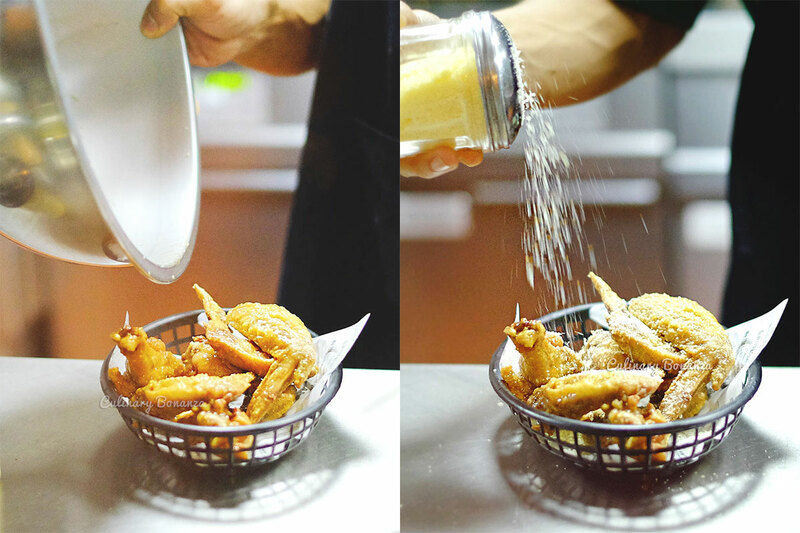 It would take roughly 12 – 15 minutes for your freshly fried and spiced, a la minute chicken wings arrive at your table. The reason for this is because Wingstop is very particular about keeping up the quality of its products. 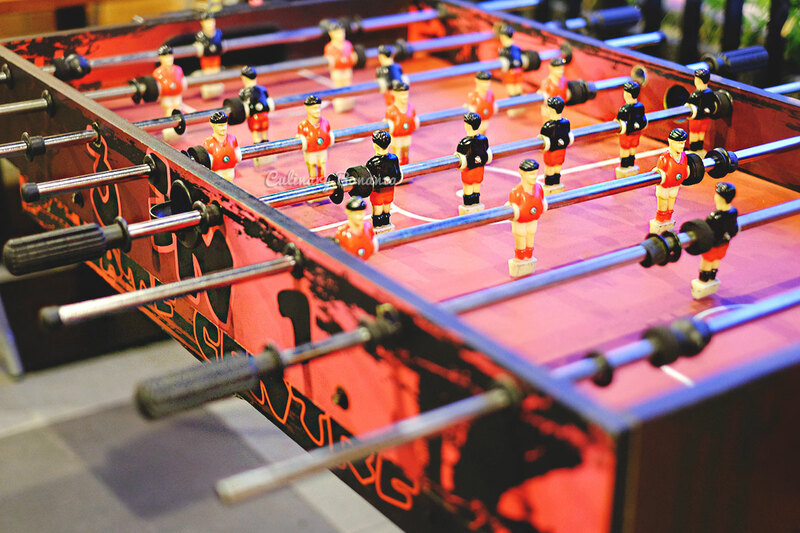 Its adamant commitment is proven by the absence of any microwave and heat lamp in the kitchen (heat lamp is like those we always see in fast food restaurants, where they temporarily keep the food before being served to the customer). So, anything that comes out from the kitchen will be absolutely freshly cooked. But what makes Wingstop so special, is the flavour variants that they have. 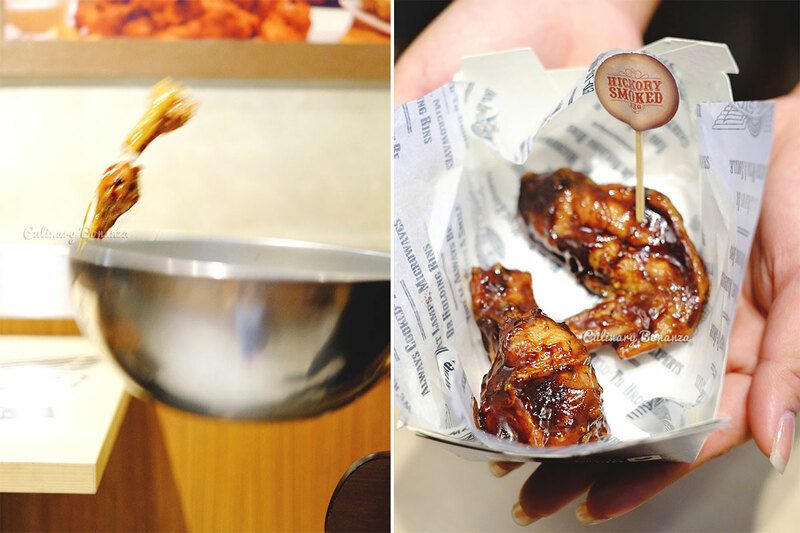 No less than 10 unique and very American flavours, you’ll never get bored of its chicken wings! 10 unique and undeniable flavors, each one bringing something different to the table, each one making you crave in ways you've never imagined! 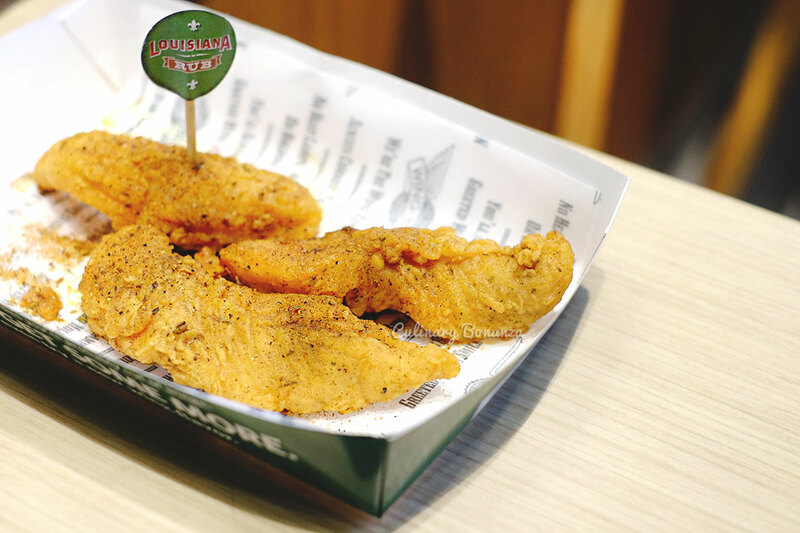 • Lemon Pepper: An American favorite. Our unique blend of crisp citrus and black pepper flavor. • Hawaiian: All the thick sweetness of fresh pineapple. • Hickory Smoked BBQ: Big, Bold flavor that’s smoky and sweet. • Louisiana Rub: A dry rub of cayenne pepper and garlic spices shows off the crispiness of the chicken. • Teriyaki: Sweet and Soy. It’s low on heat, but not on flavor. • Atomic: Our spiciest wing. A punch of habanero pepper will bring tears to your eyes. • Cajun: All the flavor of Original Hot, but with extra spice. • Original Hot: This sauce made us famous. 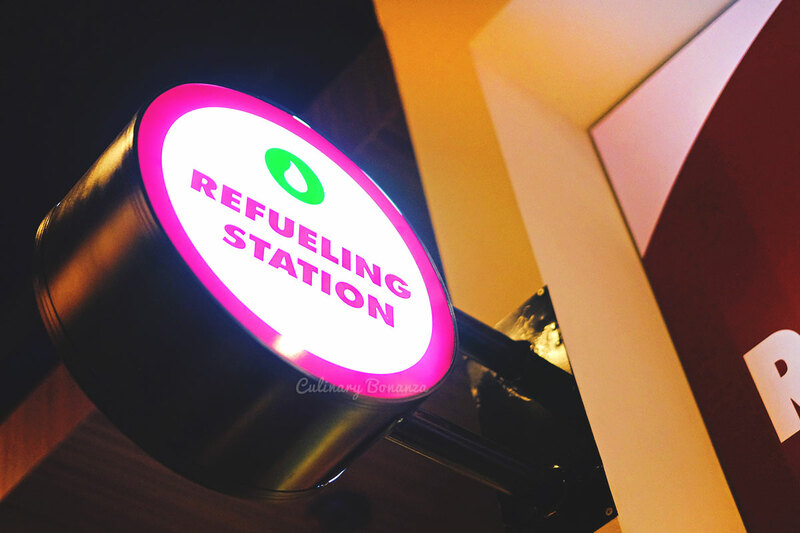 The perfect blend of strong heat and strong flavor. • Mild: Perfect for when you want a traditional wing with just a little bit of heat. 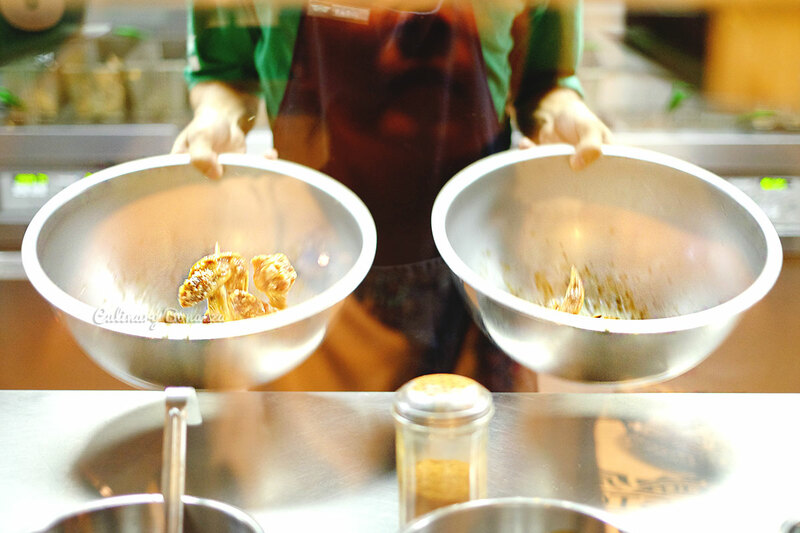 If you dislike the mess from eating chicken from the bones, there’s also boneless wings or strips to choose from. So far I’ve tried the Hickory Smoked BBQ, Garlic Parmesan, Hawaiian & Louisiana Rub, and my personal favourite is the Lousiana Rub, which is a very fragrant combination of Cajun style spices and herbs, it’s salty and a bit spicy, and it’s very suitable for our Indonesian palate. My other favourite is the Hawaiian sauce, which is refreshingly sweet, sour and not overly strong. 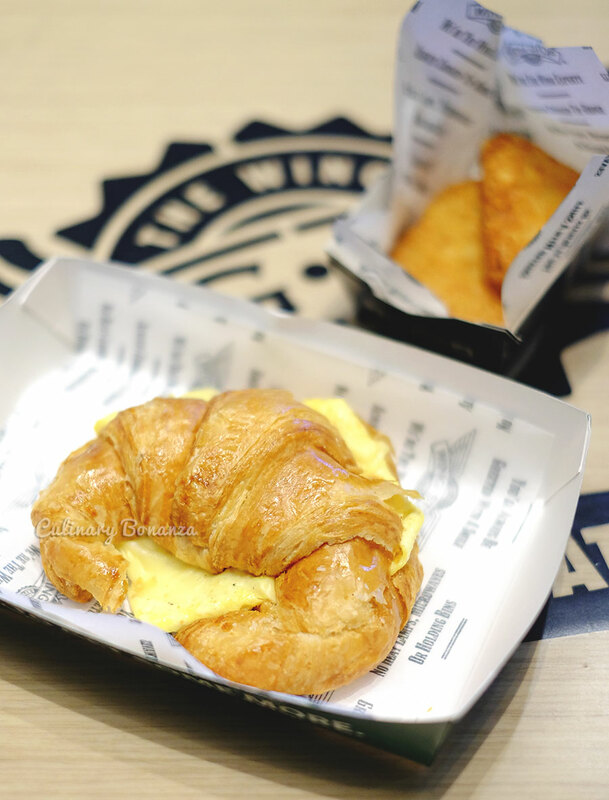 Wingstop’s stores in Kemang & Setiabudi One are quite special, because these stores are open early for Breakfast, but every Wingstop outlets serve All-Day Breakfast menu, such as this Croissant Combo with Hashbrowns and choice of with/without coffee (coffee by Lavazza by the way). Like most American casual or fast casual restaurant, any purchase of soft drinks would entitle you to access the free flow, self service soda dispenser. To a soda lover, this is like dream come true! 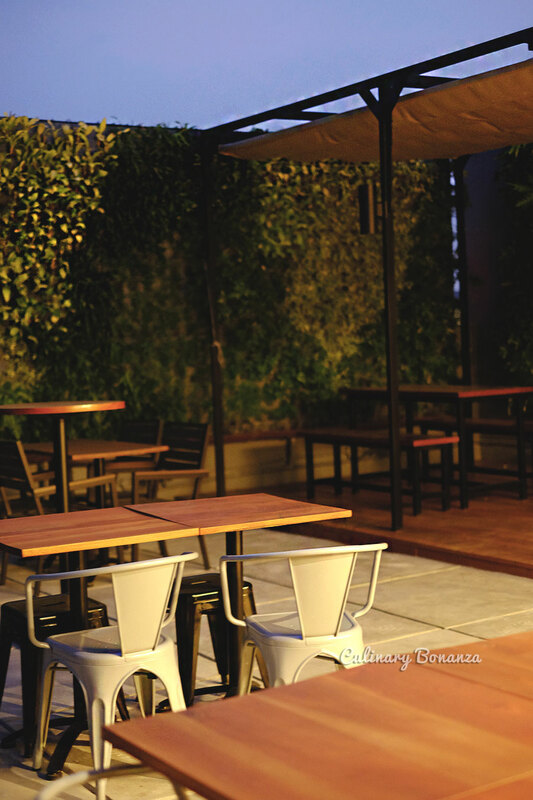 Free flow soft drinks for IDR 10,000/cup only! 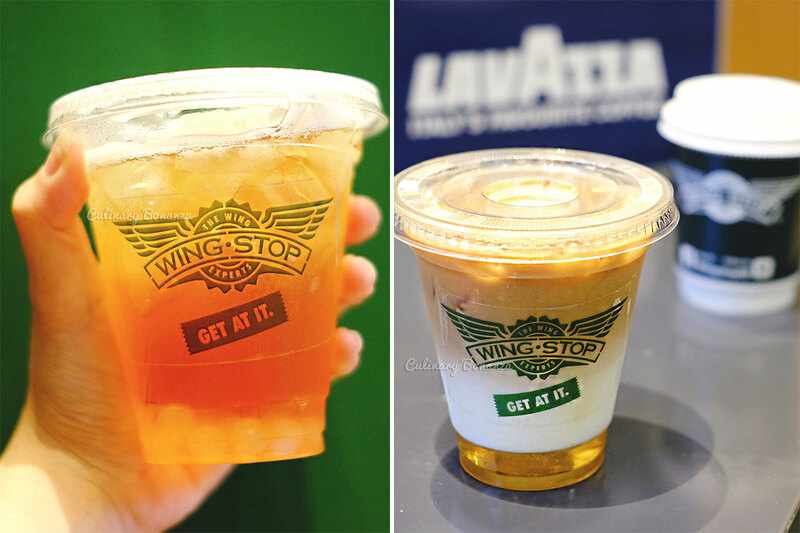 Wingstop Indonesia has modified slightly its menu to fit in the domestic market, some of the addition on the menu, which can only be found in Indonesia are the rice (choice of cajun or plain) and a brand new drink flavour: Iced Lychee Tea with popping bobba. 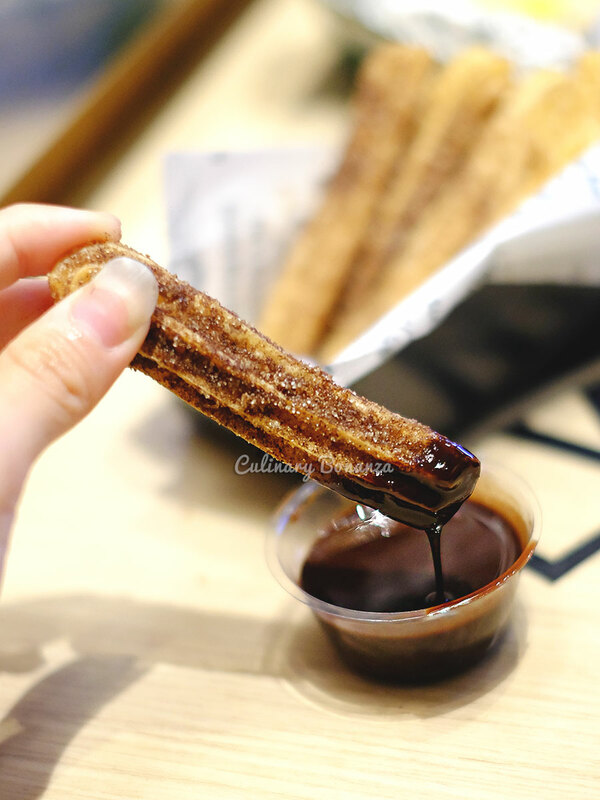 Churros seems to be a popular & safe dessert choice for most American restaurant chains, so don't be surprised to find it here. I like to taste of the churros, which is crispy but not too hard and not too sweet. 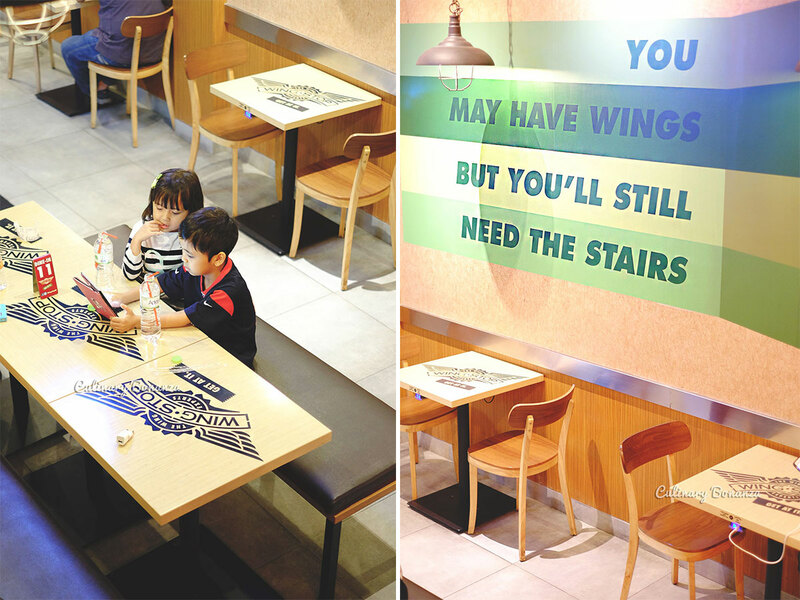 Every Wednesday, for a purchase of 5 pcs Classic Wings with 1 flavor & 1 dip, Free 5 pcs Classic Wings of the same Flavour. Promo valid for Diner In & Take Away only. 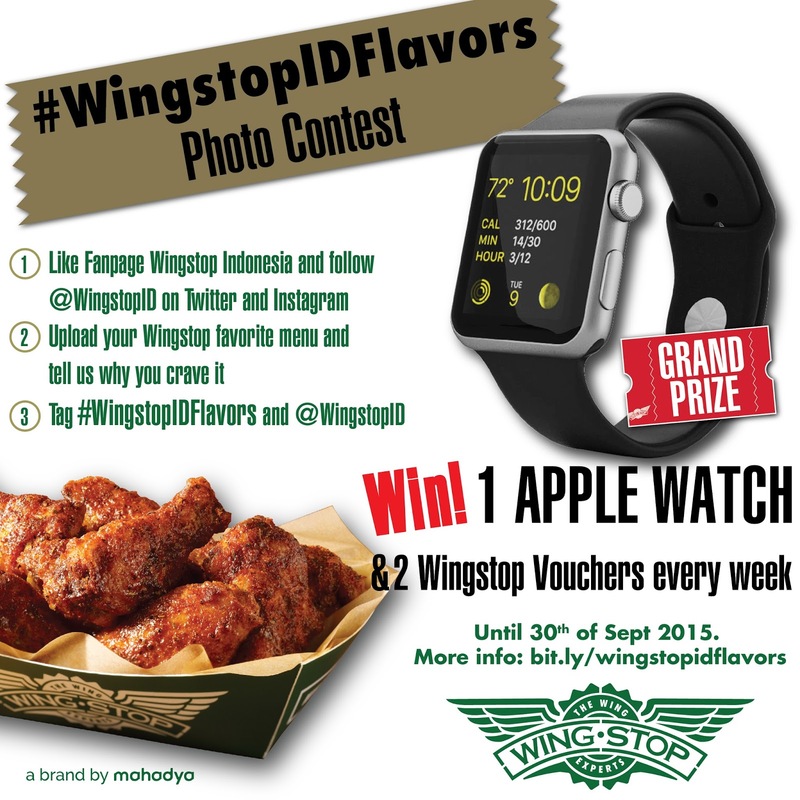 Share your favorite Wingstop menu with hashtag ‪#‎WingstopIDFlavors‬ and win grand prize 1 APPLE WATCH!‬ 2 weekly winners will get Wingstop Vouchers. 2. 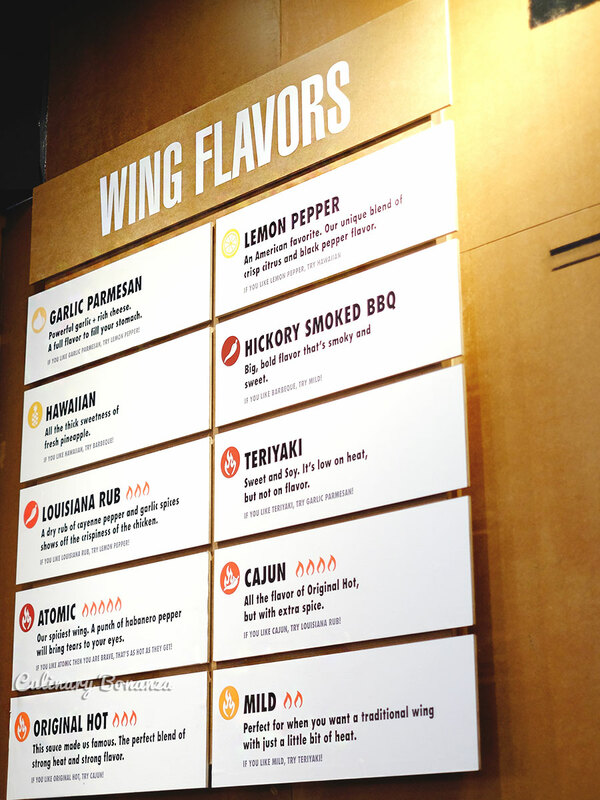 Upload your Wingstop Favorite menu and tell us why you crave it. 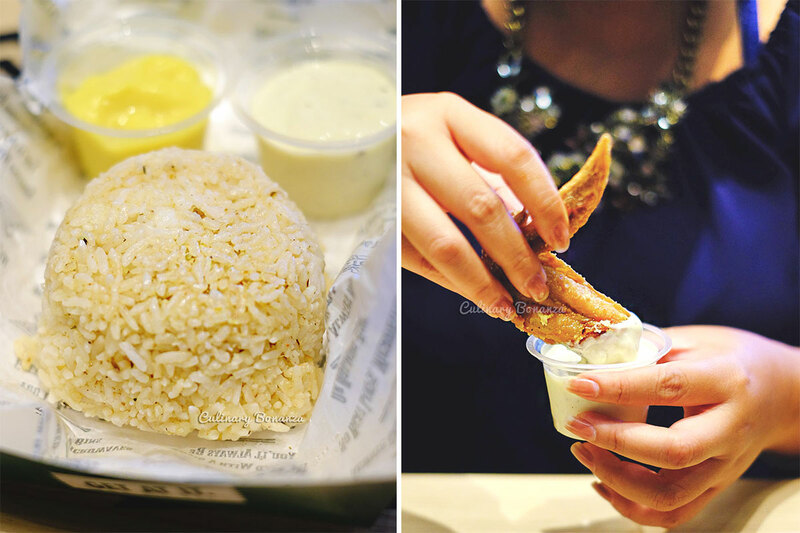 Example: "Guys, you should definitely try @WingstopID Garlic Parmesan Classic Wings. Savory garlic, buttery parmesan cheese, this great blend of flavors is worth wrecking your breath for! 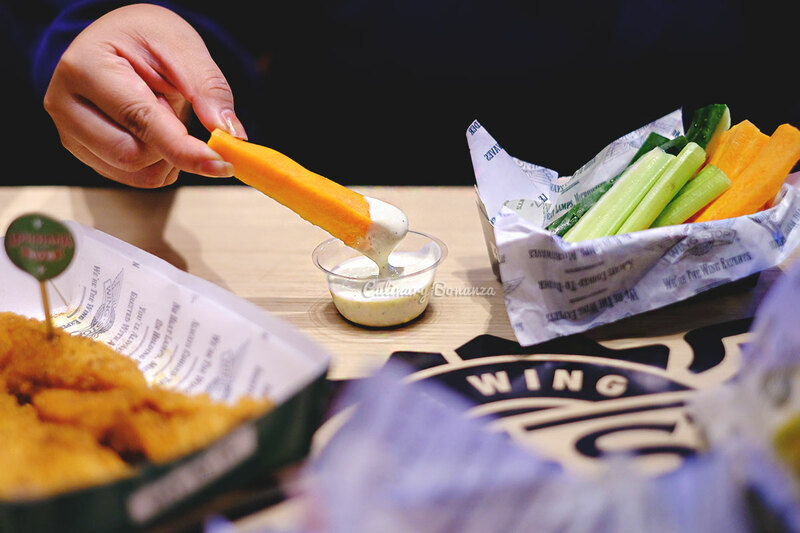 #WingstopIDFlavors”.